Need help sewing the placket of your little girls dress? Buttons and plackets can be intimidating but they’re really not as scary as they seem! Check out the video below to learn this technique for installing a continuous bound button placket. Hey sewing babes! Today’s video is our second to last installment of the Infinite A-line How-To video! 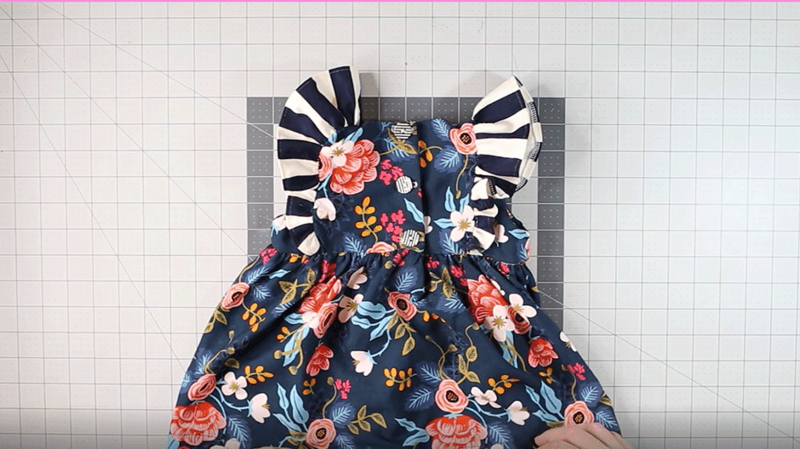 I’ve loved making these and I really hope they’ve helped some of you put together a darling little dress for your baby/neighbor/big girl/granddaughter. In this video, we’re learning how to install the placket which I’m SUPER excited to show you. This is consistently the step that most newbies have trouble with and takes a bit of practice to get looking perfect. But I promise that once you see the video, you’ll get it in no time! You can purchase the Infinite A-line Dress Pattern here. And see the other step-by-step videos here. Find the pretty floral rayon in the video here! Feel free to ask questions in the comments or on YouTube and make sure you’re subscribed to my channel so you don’t miss any new sewing videos!